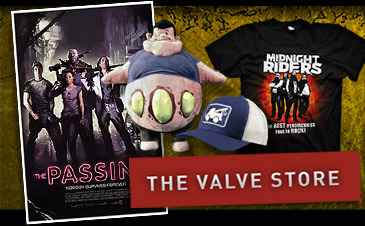 Thanks to the efficiencies we were able to achieve with Linux, we skipped Valve time and are delivering the L4D2 Beta Linux build today as planned. The Beta build not only allows Linux owners to play the game natively, it is also the testing ground for our new Extended Mutation System. If you currently own Left 4 Dead 2, You should see “Left 4 Dead 2 Beta” in your library. If it doesn’t show up, restart Steam. This is a complete build of Left 4 Dead 2, so the build is as large as the current game. You also receive access to the Left 4 Dead 2 Beta Authoring tools and Left 4 Dead 2 Beta Dedicated Server. This will allow you to start working with EMS. The Beta version also contains updated Windows and Mac clients, so even if you are not running under Linux you can help by testing the Beta. - Server operators can now specify whether or not custom content is allowed when playing on their servers. This can be set on a per game mode basis - see cfg/addonconfig.cfg for details. - Fixed main menu not refreshing after workshop add-ons have been loaded. Custom UI skins should display correctly now. To give us feedback on the Beta, please use this brand new forum. If you aren’t up for downloading the beta, we are trying a new experiment with our friends over at Pinion. On the additional official servers they are hosting, we have added four new community campaigns to them so that you can get the stock L4D2 experience on some great community maps. It was tough work playing so many great custom campaigns as we narrowed it down to four. 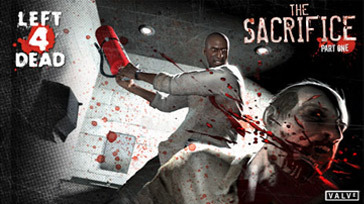 To quote Daniel from Pinion, "Diescraper has some of the best levels I've played in L4D2!!". Yes it does… And with campaigns only a mouse click away thanks to the Workshop, make sure to give them a try this weekend. Here are the current list of supported Campaigns. Thanks to everyone who voted on the campaigns in the workshop and helped us make our selections. If you have any feedback on the servers or campaigns, please let us know in the forums.